Leaders of the state’s prison employee union say that officials are leaving Texas prisons dangerously understaffed. On Wednesday, they renewed calls for better pay, noting that the holiday season is a particularly dangerous time in Texas prisons. Prison officials agreed that staffing problems exist in particular units, but said that the facilities are secure. “What has happened over the past several years is the Legislature hasn't kept up with cost of living for correctional officers,” said Lance Lowry, president of the Texas chapter of the American Federation of State County Municipal Employees, which represents prison workers. The Texas Department of Criminal Justice has faced staffing shortages during the last year. 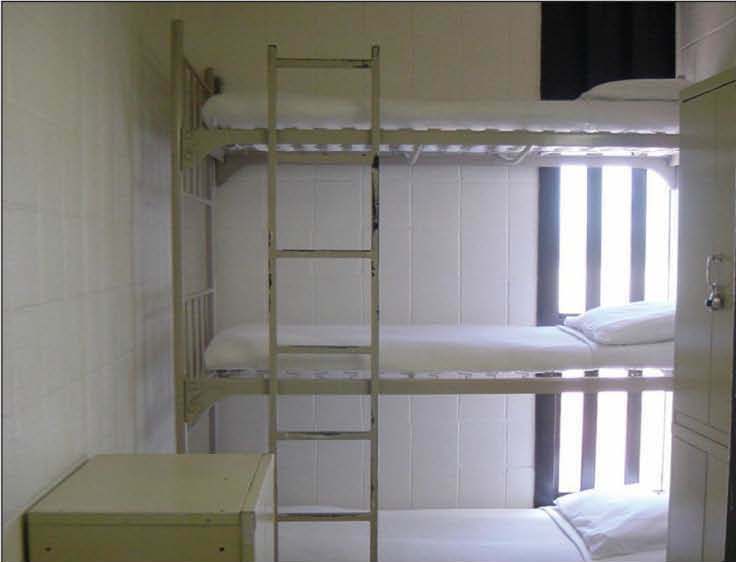 In June, the department closed parts of the Connally unit in Kenedy, southeast of San Antonio, and moved the inmates to other facilities, because of a 40-percent vacancy rate. In October, Lowry sent a letter to Gov. Rick Perry, noting that his organization had found the department is currently short more than 2,700 officers. But Lowry and Brian Olsen, the union's executive director, say the department has not done enough to retain employees. Much of the experienced staff hired during the boom in prison building in the 1990’s, they explained, is now retiring and new recruits are not given adequate training. “You get someone fresh out of high school trying to tell a convicted felon what to do, it creates a very dangerous situation,” Lowry said. "These inmates know that the prisons are running with skeleton crews." And the union leaders say the situation wastes money because low-paid, ill-trained workers quit relatively quickly. “It costs the state millions of dollars a year to train and retrain and retrain,” Olsen said. To combat the trend, prison officials offered a $3,000 bonus this year to new correctional officers in certain units where the oil and gas boom had created the most competitive hiring environment. Among the proposals Olsen and Lowry made, they want to shorten the amount of time it takes to get from minimum pay, $27,000, to maximum pay, $37,000, from eight to five years. “We’re trying to get these new boots [newly-hired officers] a light at the end of the tunnel,” Olsen said. The issue takes on particular importance around the holidays, the union leaders said, since two of the most well-known breaches of Texas prison security in recent memory happened around Christmastime. In late November of 1998, 29-year-old Martin Gurule became the first inmate to escape from Texas death row, at the Ellis Unit in Huntsville, since 1934. His success led prison administrators to move death row to the higher security Polunsky Unit in Livingston. In mid-December 2000, seven inmates escaped from the Connolly unit and killed a police officer on Christmas Eve. Hurt said the push by the union near the legislative session is meant to get lawmakers’ attention to increase their pay. He said wardens have no security concerns and that no staffing policies are being violated. Olsen, who sent the letter to Gov. Perry, said that although he did not expect a response, he thought that “behind the scenes there will be a lot of questions asked” and the holiday push will lay the groundwork for their legislative demands during the upcoming session. This article originally appeared in The Texas Tribune at http://trib.it/Tg0foq.